Although Thanksgiving was overall a good time, there were some tragedies. 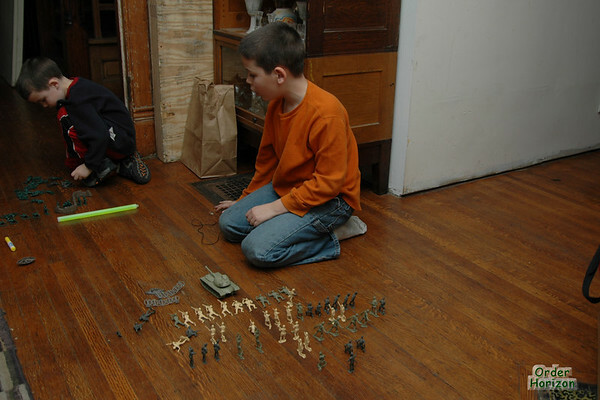 Here, Corwin and Charles are setting up the army men in precise formations. Note that both have selected high traffic areas for this, leading to results that are obvious to anyone — except Corwin and Charles.